We developed a system to make it easier for you to lose weight. It’s a diet approach that—over and over again—has lead to weight loss in our Lean Eating programs. This approach focuses on habits that put YOU in control of your weight loss. Sure, you’re going to see calories and food suggestions like other plans. But that’s where the similarities end. The bigger picture is that you’re going to understand how you can adapt this plan to almost any food preference and any schedule. And once that happens, you’ll not only feel less stressed by your diet, you’ll also be able to directly influence the way you look. This example eating plan has been specifically created with your goals in mind. During a get-lean plan, the goal is to shift the way you eat to drop fat without having to feel like you’ve cut calories. So while you will be eating less, you’ll be focusing on more nutrient dense foods that will have you feeling fuller, which makes the process easier than you’d expect. More importantly, you’ll be supplying your body with the type of food you need to burn fat and look ripped. 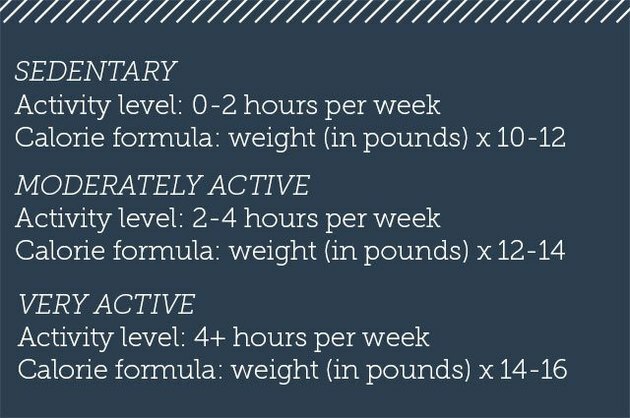 To this end, we’ve created a four-meal plan that can apply to any type of daily schedule. We selected four meals because it’s a realistic option for most people that live busy lives. Oftentimes, eating too frequently becomes a hassle and is too difficult to schedule, while eating fewer meals might lead to binge-type eating that undercuts your goals. 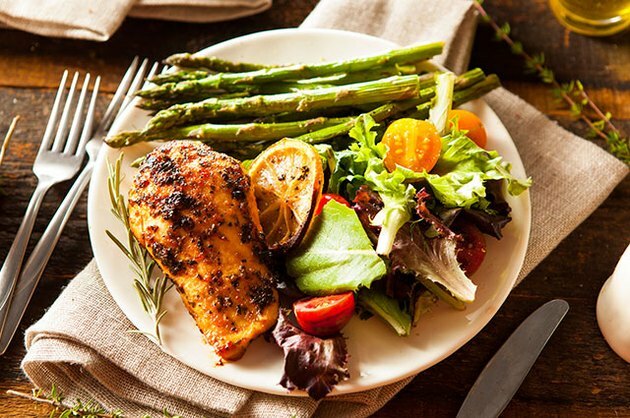 The plan below outlines a day of perfect eating for someone trying to drop a few pounds. We’ve outlined calorie goals and meal breakdowns for those of you who like to do calorie math. But the truth is, we’re not big fans of counting calories. We think you should eat according to hunger cues and adjust according to results. That’s the real magic of what we do at Precision Nutrition. Instead of strict meal plans, we teach a habit strategy, outlining best practices like: slowing down your meals, eating lean protein with every meal, eating veggies and fruits with each meal, and including healthy fats. The menu below is an example of these practices in action. Just remember that it’s a template, and that you’re in control. In other words, you can adjust as needed. If you don’t like chicken, substitute with steak, fish, or turkey. Same with the veggies, starches and fruits. Also keep in mind that instead of using ounces, grams and other metrics, we prefer to use the simplest metric possible: the size of your hand. For example, for men we recommend two palm-sized portions of chicken. This is the preferred approach because your hand generally scales with your body size. If you’re bigger, you eat more, according to your hand size; if you’re smaller, you eat less, according to your hand size. For more on this strategy, check out our “Simple Guide to Portion Size,” which we’ve linked to at the bottom of this article.